Applications for the Donald Webb and Keokuk Community School Foundation scholarships are now available. Purpose: To recognize a deserving Keokuk High School Senior(s) planning to enroll full-time in an accredited technical, community, or four-year college or university. Eligibility requirements: The scholarships shall be granted to individuals based upon their financial need, motivation to learn, evidence of work commitment, and contribution to the community. Procedures: The Selection Committee, with approval of the Keokuk Community School Foundation Board, shall determine the number of scholarships and the amount of each scholarship. The Keokuk Community School Foundation is proud to provide scholarships to graduates of Keokuk High School. The Foundation will again be extending the Donald Webb and Keokuk Community School Foundation scholarship offerings in 2018. We will be accepting applications for a total of four (4) individual $2,500 scholarships this year. Each of the $2,500 scholarships this year will also have an additional $1,000 available for the student’s second year, as long as the scholarship award winner maintains a B average (final average for the year), and submits a request for the additional funds. In addition, the Dr. Bill & Jody Cameron Scholarship is a $2500 scholarship offered to a former KHS graduate that has declared an education major and completed 1-2 yrs of post secondary education. See links below. Consideration will only be given to typed applications. Once the on-line form has been completed, the user will be allowed to print the completed form. The form must be completed and printed in the same session. Additional scholarships are also available. If any designated recipient is prevented from enrolling for the intended semester or otherwise leaves school temporarily, through circumstances beyond his or her control as determined by the Selection Committee, the scholarship may be held for a period of two years. The Selection Committee will notify the recipients and inform them that they are responsible for requesting their respective school or educational institution to send the Scholarship Committee verification of enrollment for the year for which the award was granted. The Selection Committee will then authorize the Treasurer of the Keokuk Community School Foundation to issue a check to the recipient’s institution in the name of the recipient. Criteria, award, and procedures will be periodically evaluated and/or changed by the Selection Committee with approval of the Keokuk Community School Foundation Board of Directors. Donald Webb Scholarship– $2500 each to Kohl Farmer and Shawn Haage. 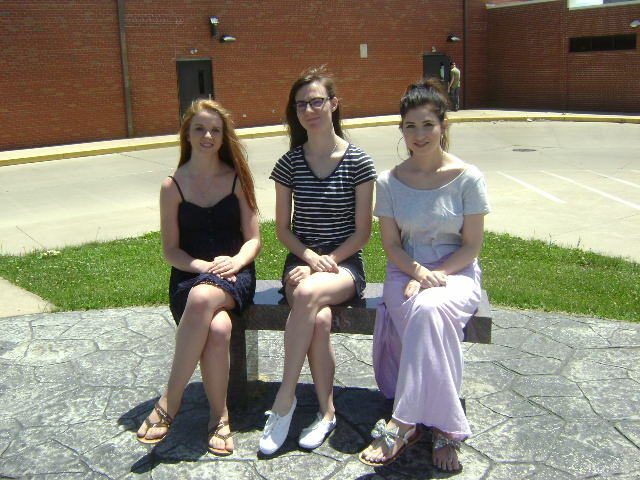 Keokuk Community School Foundation Scholarship – $2500 each to Taylor Dunn and Hope Wrieden. Keokuk Community School Foundation Blindside Award – $2000 each to Taylor Lemon and Kirbey Sanders. Marie Conner Award – $500 to Kevin Clark. Dr. Karen Wolfmeyer Award – $600 to Malorie Maerz. Evie Hogan Award – $800 to Brandt Ames. Dr. Bianca Hendricks Myers (’00) Award – $300 to Alexis Hawkins. Joan Schleier Art Award – $350 to McKenzie Berquam.